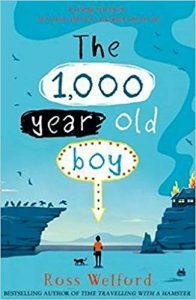 Book Club children have chosen ‘The 1000 Year Old Boy’ by Ross Welford as their book for the spring term. Book Club meets every Thursday lunch time. The children eat their lunches while chatting to friends – and then read some of the chosen book, make recommendations and talk about books. At Book Club in the autumn and spring terms, the children enjoy hot chocolate and biscuits – and in the summer term, it’s lolly ices ! 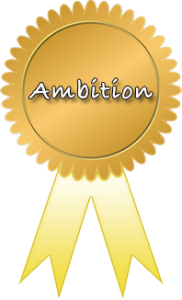 I’m thrilled that you have chosen The 1,000 Year Old Boy as your book for the spring term, and I truly hope you enjoy the adventures of Aidan, Roxy and Alfie. Good luck with your Book Club and keep reading! Some of the Book Club children after reading the first few chapters of Ross Welford’s ‘The 1000 Year Old Boy’. as their book for the summer term. Book Club children at one of their first meetings of the autumn term. 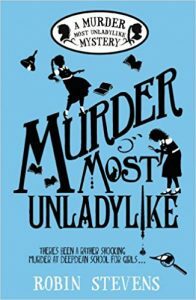 Dear Y5 & Y6, thank you for choosing Murder Most Unladylike as your book club book! I wrote it because murder mysteries are my favourite type of story. They are so scary and so interesting, but also very safe and fun. But I started reading murder mysteries when I was twelve, and could never find characters like myself in the books that I picked up! I wanted a murder mystery where children were the detectives, and so I created Daisy and Hazel. They go to a school that might seem quite different to yours, but is really very similar. Every school has lots of secrets and surprises … and every school is full of very suspicious teachers! I really hope you enjoy reading Murder Most Unladylike, and solving Miss Bell’s murder! 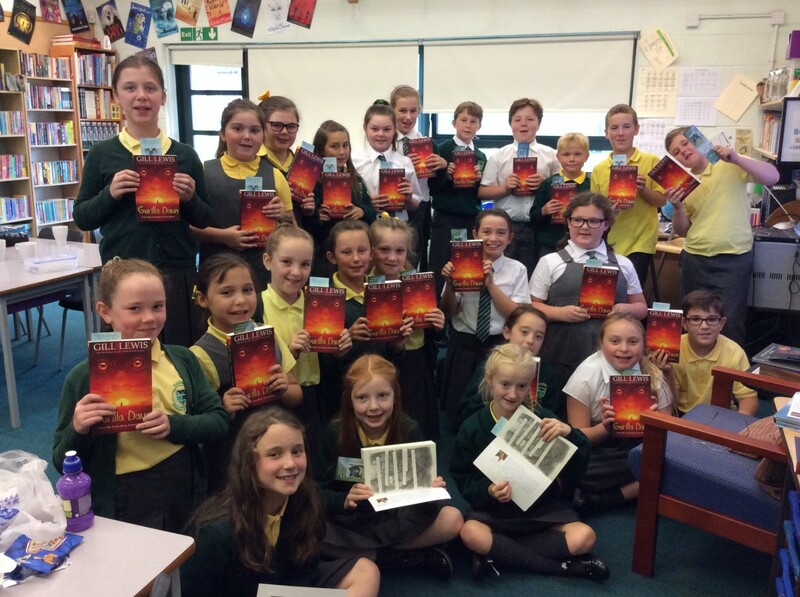 On Tuesday 24th April, Year Five and Six Book Club children visited Huyton Library for an author event. 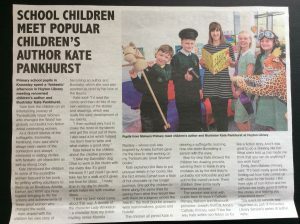 Kate Pankhurst (author and illustrator of the ‘Mariella Mystery’ stories) talked about her new book ‘Fantastically Great Women Who Made History’ – and signed children’s copies. 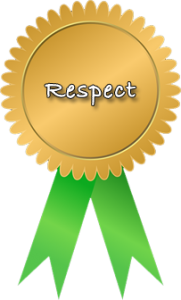 Kate is quite well known to many of our children because she has visited Malvern on two occasions in the past. The article (above) appeared in the June 2018 edition of ‘The Challenge’ free newspaper. Book Club children have chosen Eva Ibbotson’s ‘Journey to the River Sea’ as their book for the new school year. About the book: It is 1910 and Maia, tragically orphaned at thirteen, has been sent from England to start a new life with distant relatives in Manaus, hundreds of miles up the Amazon. She is accompanied by an eccentric and mysterious governess who has secret reasons of her own for making the journey. 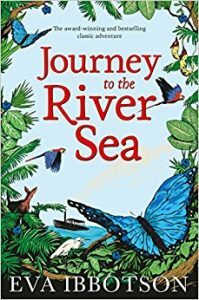 Both soon discover an exotic world bursting with new experiences in Journey to the River Sea, Eva Ibbotson’s highly colourful, joyous adventure. 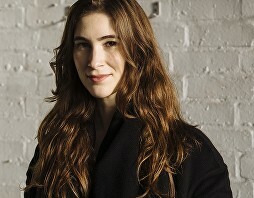 Katherine Rundell (author of ‘Rooftoppers’ and ‘The Explorer’) has sent a message to the Book Club children….. Journey to the River Sea is one of my favourite books; it has everything you could possibly need in an adventure. It has orphans, secret identities, boats, actors, dogs, music, books, fire, glass eyeballs and giant sloths: and, most of all, the Amazon rainforest. 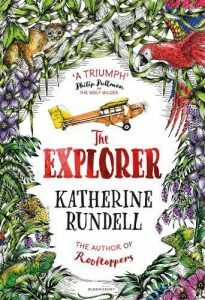 I loved it – it’s one of the reasons I went to the Amazon myself, which led to my own book about Amazon exploring – and I hope you love it too. Best wishes…..Katherine Rundell. 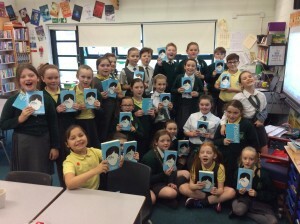 Book Club children…..ready for a ‘Journey to the River Sea’ ! On the afternoon of Tuesday 16th May, 30 members of the Y5 & Y6 Book Club visited Waterstone’s in Liverpool One. The children’s section of the store was thoroughly explored and exciting titles selected. The staff at Waterstone’s kindly provided activities for the children to do during breaks from browsing. At the end of the afternoon, Cody (from Waterstone’s) gathered the children together for a story time. Everyone enjoyed listening to the opening part of Jacqueline Wilson’s new novel: ‘Wave Me Goodbye’. The children brought lots of exciting new books back to school. In fact, many couldn’t wait to get back – and started reading in the minibus ! And our book for the summer term is…. 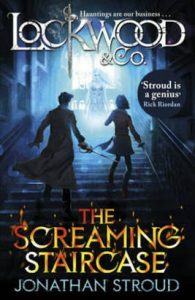 Set in a city stalked by spectres, The Screaming Staircase is the first in a chilling series full of suspense, humour and truly terrifying ghosts. Your nights will never be the same again . 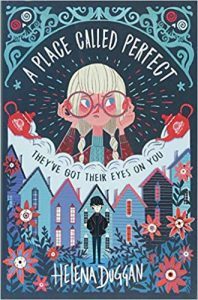 . .
A new term and a new book for our Y5 & Y6 Book Club. 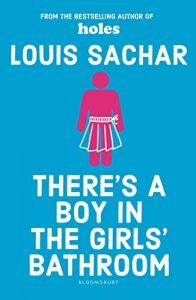 The children have chosen ‘There’s a Boy in the Girls’ Bathroom’ by Louis Sachar as their book for the Spring term (2017). 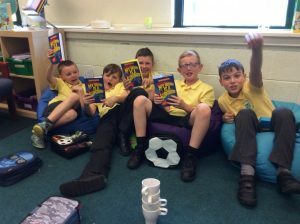 The Y5 & Y6 Book Club meets between 12.00noon and 1.00pm every Thursday lunch time. 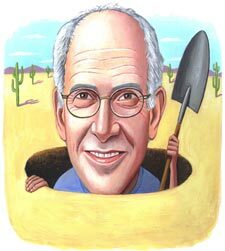 Louis Sachar (who lives in Austin, Texas) kindly sent a message to the Book Club children. The children have glued his message to the inside of the front cover of their books. I’m glad you’re reading There’s A Boy In The Girls’ Bathroom. By now you’ve read about Carla. Although the story is made up, about 36 years ago I met a school counselor named Carla, and she was the inspiration for the character. She’s inspired me in other ways too. We’ve been married since 1985. 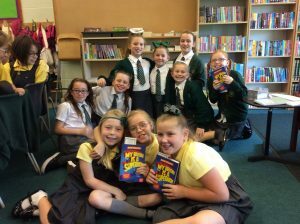 Our Y5 & Y6 Book Club had its first meeting on Thursday 15th September (2016). 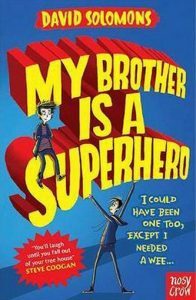 The children have chosen ‘My Brother is a Superhero’ by David Solomons as their book for the first half of the autumn term (2016). This book won the 2016 Waterstone’s Children’s Book Prize. Hello Malvern Primary School lunch-time book clubbers ! All say, ‘Hot chocolate !’ – Book Club children after reading the first chapter of their new book. 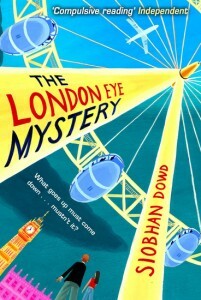 Siobhan Dowd’s ‘The London Eye Mystery’ was chosen by Year Five and Year Six Book Club members as their book for the summer term 2016. When Salim mysteriously disappears while on a ride on the London Eye, everyone is frantic and even the police are baffled. Ted has his own theories, and his own very particular way of working things out. The question is, is his theory right and will the others listen to him? This is Siobhan Dowd’s second novel – but it’s clear her talent as a superb storyteller is beyond question. Sadly, however she died in late 2007 so whatever you do don’t miss her four novels. 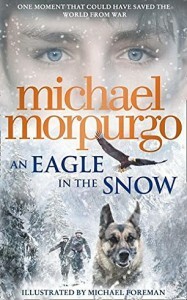 Her first, ‘A Swift Pure Cry’, was shortlisted for nearly all the major awards – and although this second novel is very different it has that same page-turner quality about it. ‘The London Eye Mystery’ is a beautifully written mystery set in Manchester and London and featuring two young boys, one of whom disappears on the London Eye shortly before he’s due to emigrate to the US with his mother. 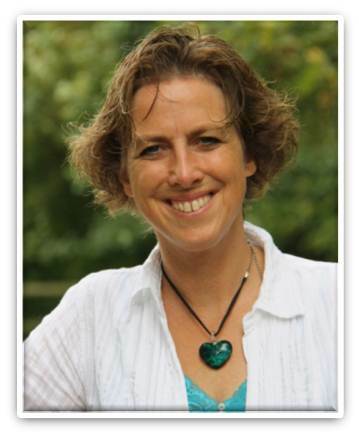 Siobhan sadly only published four books in total before her tragic death. They were ‘Solace of the Road‘, Bog Child’, ‘A Swift Pure Cry’ and ‘The London Eye Mystery’ but her memory lives on in a Trust that has been set up in her name as well as through her writing. A fifth book, ‘The Ransom of Dond’, was published in 2013. Partick Ness’s Carnegie Medal winning book ‘A Monster Calls’ was based on an idea written down by Siobhan Dowd. 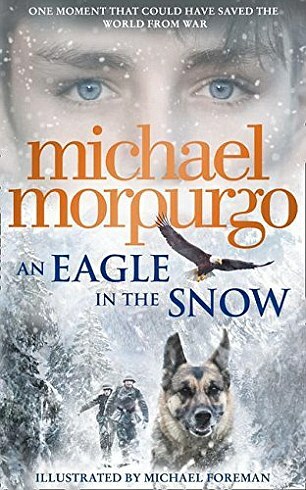 Year Five and Six Book Club children picked Michael Morpurgo’s novel, ‘An Eagle in the Snow’, as their book for the spring term 2016. Comments from: Megan, Emily, Tilly, Ruby D., Izzy and Olivia. 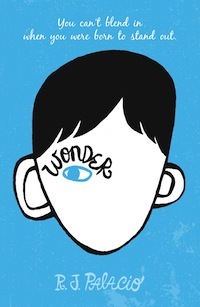 Members of the Year Five and Six Book Club chose ‘Wonder’ by R.J.Palacio as their book for the second half of the autumn term 2015. The Book Club children received a free journal with their copy of the book. They started to read the story in Book Club on 11/11/15. 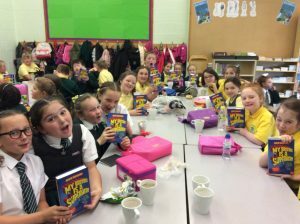 Everyone’s really enjoying it – and many children have been keen to take their book home to read – or to read it in class. Book Club children with their copies of ‘Wonder’. 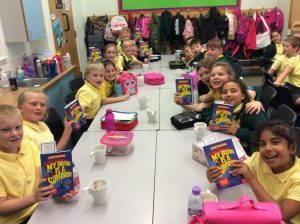 At Book Club each week, children enjoy a mug of hot chocolate and biscuits. 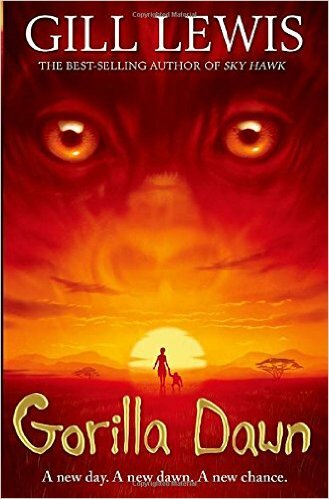 During the first half of the autumn term 2015, our Year Five and Year Six Book Club children read ‘Gorilla Dawn’ by Gill Lewis. 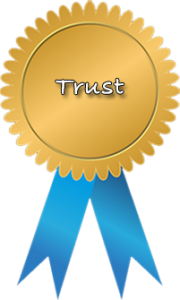 Gill sent the children bookmarks and a message…. 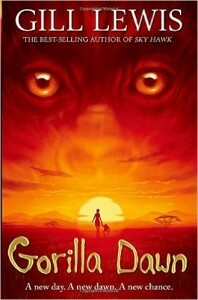 I hope you enjoy reading ‘Gorilla Dawn’. 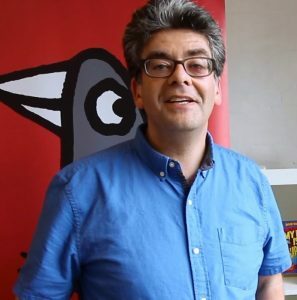 It was an important book for me to write, as everything we do connects us in some way to the natural world. Our electronic devices (like the computer I am writing on now) connect us to the fate of the gorilla. You will see how as you read the book. 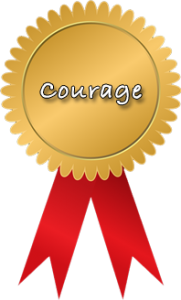 But although the human characters have a tough time, the story is also one of hope, because I believe that people like you care about the natural world and the people (all of us) and animals whose lives depend upon it. If you have any questions after reading the book, you are more than welcome to ask. Year Five and Year Six Book Club children – lots of smiley faces after receiving their message from Gill Lewis.